Everyone loves the family dog! But no one wants to clean up after them. Most owners are not even aware of the large numbers of parasites, bacteria, and viruses that are lurking in animal feces. 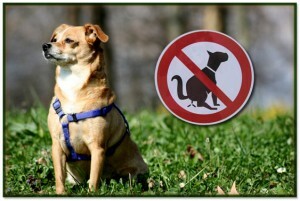 Our mission is to keep your city free of waste, pollutants, bacteria, and viruses that are lurking in your pets waste. We strive to educate dog owners everywhere of the importance of making sure their pet waste is cleaned up. Your pet is our family too! Let Us Do Your Dirty Deeds! We also offer Dog Walking, Pet Sitting, and Pet Taxi services to help you spend more quality time with you family! Scooping Florida from Vero – Jupiter. Can the dog be in the yard while you are working? We don’t mind working alongside your dog as long as he is friendly and does not bite. If you know that your dog does not like strangers or has been known to bite, please let us know and restrain the dog while we work. Do I have to be there when you come for service? You do not have to be. We will make arrangements prior to the appt. about entering the yard. No, there are no contracts to sign. One time or initial scoops are due at the time of service. For routine scooping we will send you an invoice for the following month in advance. Payment is due by the 15th of the month. $10 late fee, $25 return check fee. Why is the one time and initial scooping prices higher? One time and initial scoops tend to take a lot longer for us to completely clear the yard of waste. What happens in bad weather or if it’s raining? We work in almost all weather. We may have to postpone service if there is a hurricane, thunderstorm, or very heavy rain. You can call us to Pet Sit your pet while you’re gone! Please see our services page. Or call us before you leave and we can suspend your service and charges until you return. I don’t mow my yard every week, is this a problem? It might be… We always try our best to get your yard as waste free as possible, but there are certain obstacles that may result in a less than perfect scooping: (pebble/gravel areas, landscaping, high grass/weeds, standing water, pine needles, or leaves.) We can only collect what we are able to see. Can you scoop both my front and back yards? Usually we scoop one of the two, but we can scoop both for a small additional fee. How do I make comments or observations? If you need to contact us for any reason please use our simple contact form, or call/text us at 772-233-8133.